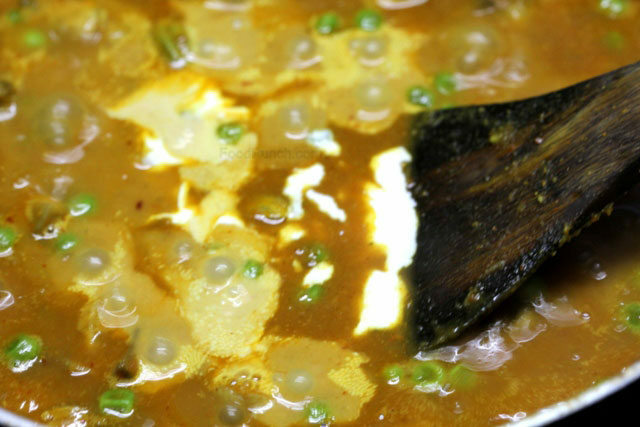 A spicy Indian matar (green peas) and mushroom masala recipe that’s a household favourite. 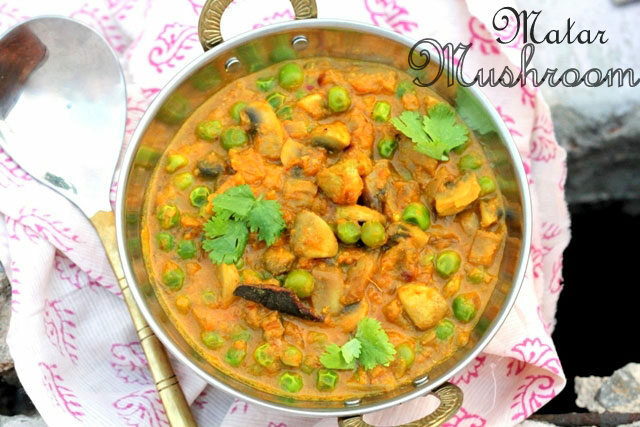 Mushroom Matar or Matar Mushroom is yet another dish that the vegetarian Indian simply adores. 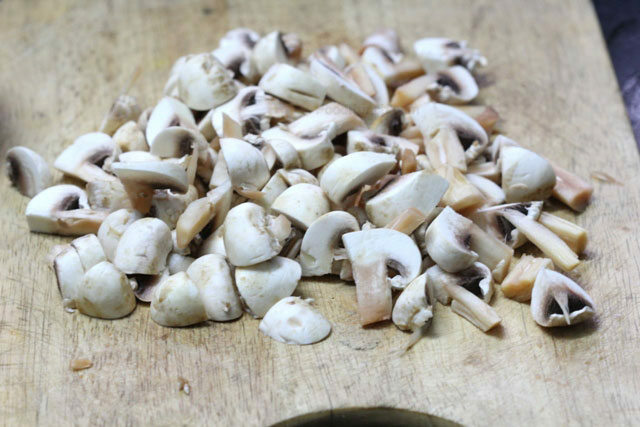 Though a few who consider mushrooms a living organism may choose to differ, but most would agree to tthat statement. 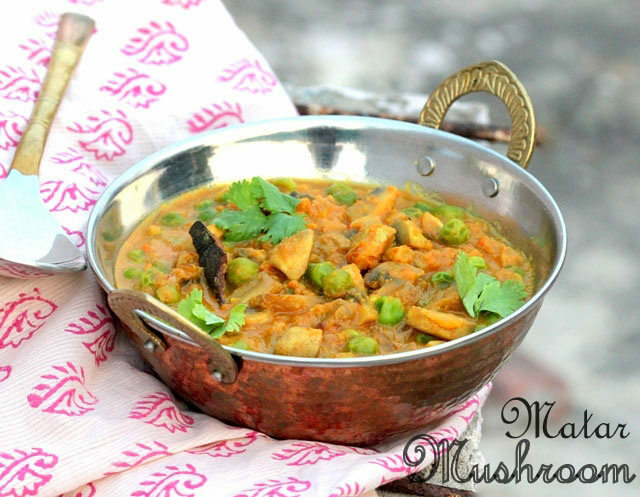 Be it any party, shaadi, festival or even casual dinner, we do not forget to include Matar Mushroom into the menu. Even statistically the mushroom cultivation has been mushrooming across the country, google it and you’ll know. Well not that i cook mushrooms beacuase some satistics inspire me too but because Mr H and everyone else in the family too dotes on the dish. 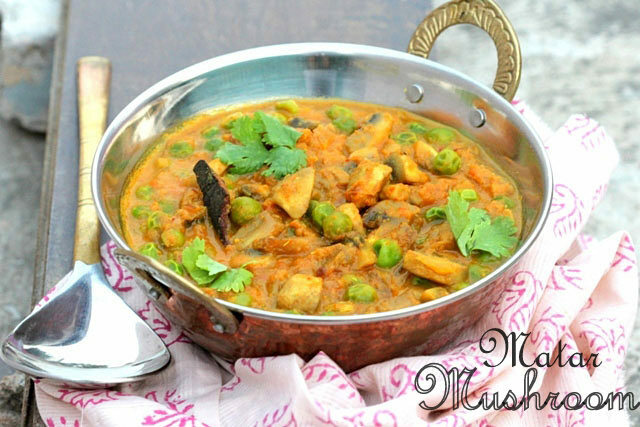 I though have never been quite fond of green peas in a curry (since childhood) but still love this recipe as long as I am allowed to pick out all the mushrooms for myself, :p. So I guess it won’t be wrong to say that there is a little for everyone in this typical Dhaba style Matar Mushroom recipe. 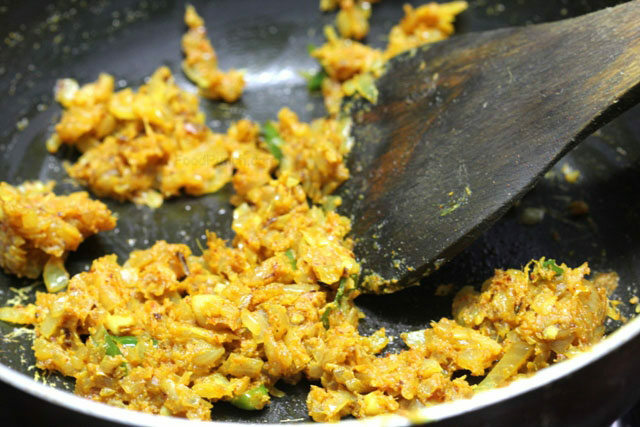 Heat a tbsp of vegetable oil in a thick bottom pan, wok or skillet, add and green chillies and chopped onion, retaining 2 tbsp onions for later. Fry till golden, then add the ginger and garlic paste and fry for a minute on medium heat. 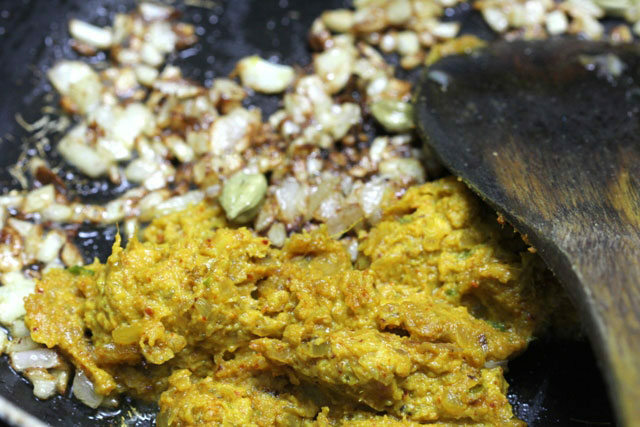 Add a little salt, turmeric and chilli pwd and fry for another 3-5 minutes and remove from heat. Allow to cool and then make into a paste in your electric grinder. 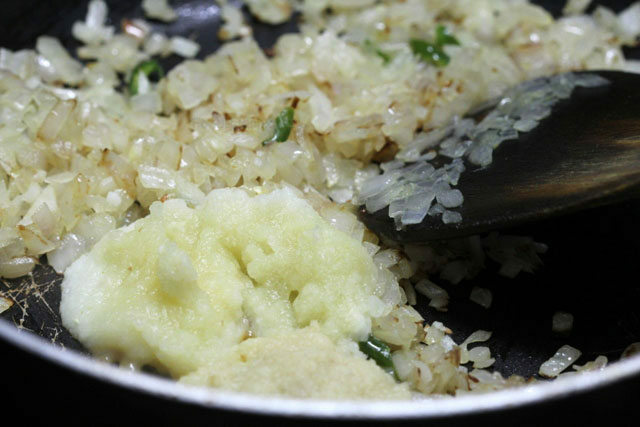 Now heat the remaining oil and ghee together in a wok, you may use the same wok too. Add the cinnamon stick and cardamom and fry until they pop, then add the remaining onions and fry until golden. Add the spice paste and the tomato puree and stir well. 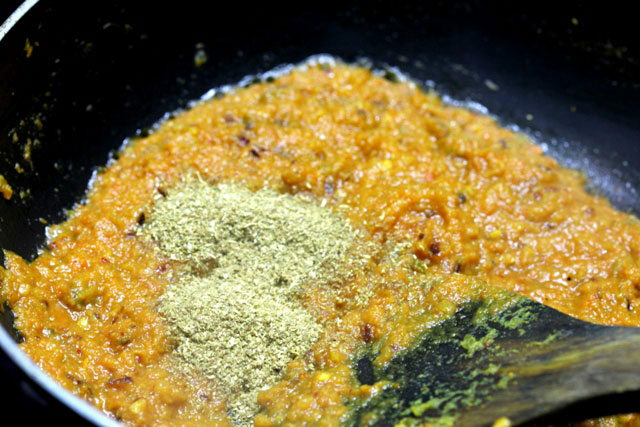 Then add the coriander pwd and fry together on medium heat until oil oozes out along the corners. 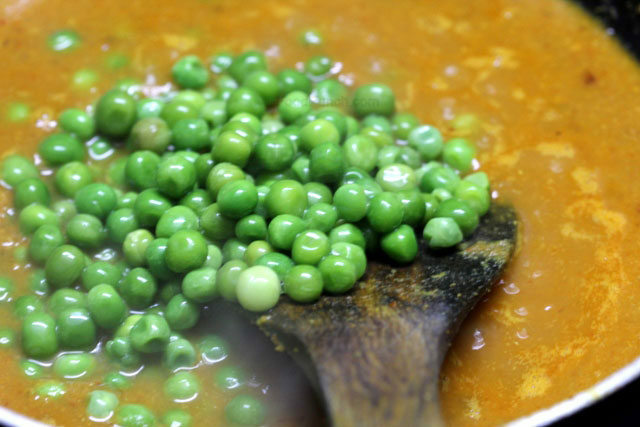 Then add 2 cups of water and bring to a full boil, then add the green peas and simmer cook until the peas our soft and the gravy has thickened. 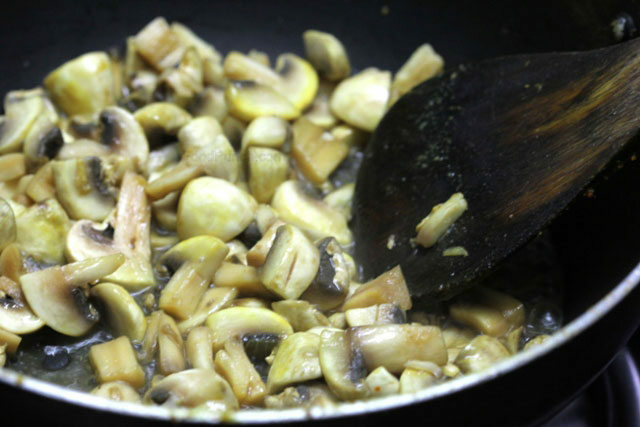 Then stir in the cooked mushrooms and mix well, check for salt and add to taste. Finally stir in the cream and garnish with fresh coriander and serve warm with your choice of bread. Adjust spices to your taste, discarding the cardamom and cinnamon stick before adding water might be good idea. 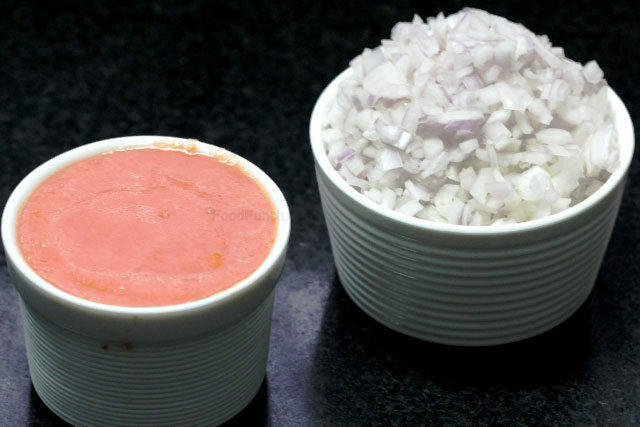 Replace milk with equal quantity of cashew paste in milk, or even coconut cream or milk. A very yummy dish, looks delicious. Hello Manisha. Wish you a very happy new year. Thank you for this recipe!! It was delicious and a great way to get more vegetables into my kids’ diet! I ended up adding a little more cream than indicated to mellow it out a bit for my kids … delicious!